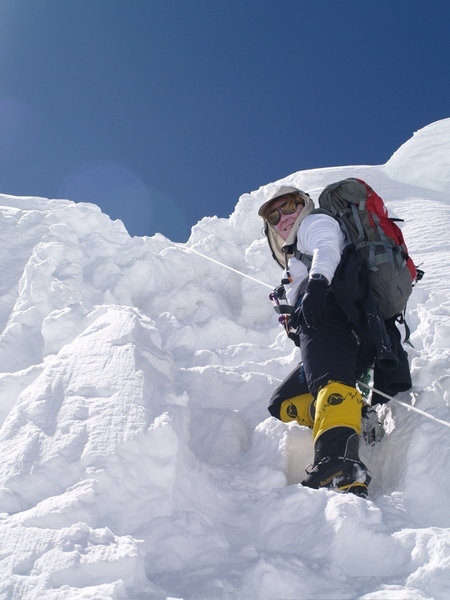 My name is Lynette Trott (that’s me on Manaslu in October ‘09). I’m from Adelaide, South Australia and in March 2018 I’ll be heading to Nepal for my third attempt at fulfilling my dream to climb Mount Everest and in so doing raise awareness of PLAN and their “Because I am a Girl” campaign. In 2004 I set off for the Andes in Ecuador to attempt my first “this”. 6 amazing years later I completed my final “this” (Manaslu, the world’s 8th highest mountain) and was accepted on a team for Everest 2010. On my return from Manaslu in October ‘09, I was waiting for an appointment on a Saturday morning. I picked up a magazine and an article caught my eye. I sponsor 2 children through PLAN and the article was about their “Because I am a Girl” campaign. I was so moved by what I was reading that first thing Monday morning I rang PLAN and offered them my climb to raise awareness of this incredibly important campaign. They accepted. That simple phone call opened up a whole new world to me. I went to climb a mountain and I did, spending two months on Everest, reaching Camp 3 (7,440m) but some of my most precious memories are of my visit to the Makwampur region visiting Plan projects and meeting some inspriational women and girls. 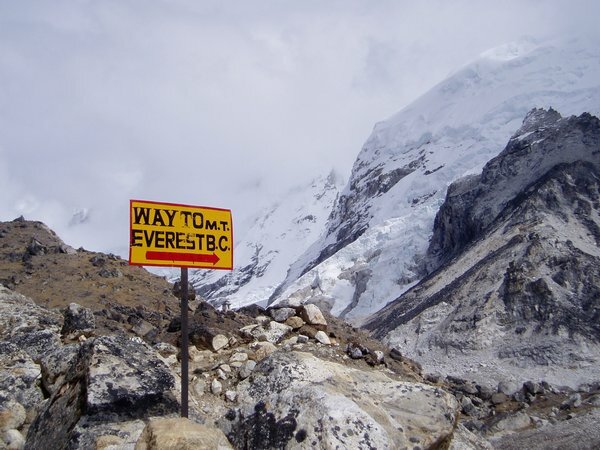 My experiences on Everest were incredible. I still have to pinch myself “I was on the Lhotse Face!” and I reached the Yellow Band. I can’t wait to head back in March 2018 to complete that last day and a half, 1,400m. And so here I am, my goal again in sight. This web site will, I hope, enable you to share my passion for Mount Everest, the Sherpa people and the work that PLAN does throughout the world. Kids (big kids can have a look too! ), there is a section just for you. There’s things to learn, activities to do and you can even ask me questions. For the “Big Kids”, I want you to know that we can all achieve our Everest. I’m just an average person who decided she wanted to do it. Please join me over the coming months on my “Way (back) to Everest”. 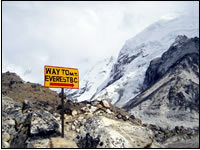 PS the photo of the sign post ”Way To Everest”, I took during my first climbing trip in the Himalayas in 2004. It has sat on my desk everyday since, alongside a photo of sunrise behind Everest from Kalapatar, providing me with that extra motivation required on those days when the summit seems a little further away than others.